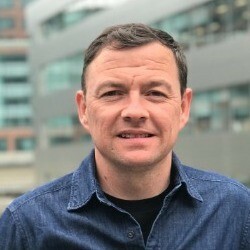 Stuart joined Human Capital solutions in 2014 and has over 18 years recruitment experience, the majority of which has been gained recruiting within the M&E Building Services sector. Stuart specialises in recruiting MEP Building Services Engineers into commercial property advisors, developers and building services consultancies. Stuart takes pride in providing a direct and honest approach, treating people how they should be treated. Human Capital Solutions are working with the world's leading global property consultancy, who provide occupiers and investors around the world with industry leading, end-to-end property solutions. The business has a global network of offices, and is experiencing unparalleled growth and success of their other London M&E Building Services team. You will work within a team of highly experienced and talented Engineers who have all have joined my client from leading consultancies. You will work as part of a team undertaking full detailed design and project management a broad range of high profile commercial projects. Projects are varied and interesting and will allow you to develop an understanding of the client-side commercial property sector that will set you apart from your peers. Design, manage and supervise projects co-ordinating with other engineering disciplines. Carry out detailed design in accordance with industry guides. Prepare specifications, reports, design drawings and budget costs to programme. Supervise project works on site, workmanship and testing. Survey, audit and report. Design, manage and supervise projects, establish client brief, technical; requirements, scope of works, cost plans and agree deliverables, i.e. report, specifications and drawings scope. Agree level of service, and project design duties for each project, understand relationship with fee. Assist with monitoring engineering/CAD resource requirement for each project. Liaise with the design team to produce co-ordinated designs that are technically compliant, to a consistent quality and standard. Provide positive contribution to design/project meetings. Maintain regular in house design reviews and checks. Manage and participate in a programme of site inspections and Building Service audits including but not limited to condition surveys, dilapidations, due diligence and acquisition reports. Assist in developing working practices in the Company. The role would suit an ambitious individual as the role has a clear career path to becoming a chartered engineer, whilst working towards becoming a Senior Engineer within a growing team. The role will provide the opportunity to work alongside and network with, leading commercial client contacts and also, internal industry leaders in Project Managers, Commercial Investment Consultants, QS teams that work within the business. As well as an enjoyable work life balance, they offer a competitive salary, car allowance, significant annual bonus, pension and a host of other flexible package options. Please get in touch for further information and a detailed conversation regarding this opportunity. Human Capital Solutions is currently working in partnership with a leading global building services consultancy and one of the most renowned, respected consultancies in the UK. They are currently looking for a Principal Electrical Engineer to be based in their London office. As Principal Electrical Engineer you will focus on Operational MEP Building Engineering. The role complements the core design business and enables our client to provide an integrated professional consultancy. The key focus of the Principal Electrical Engineer is to advise their clients (Investors, Landlords, Property Agents, Building Managers, occupiers) that their buildings are operating as effectively as they can be from an MEP perspective and to investigate and advise of the best areas to invest to gain the maximum value from their buildings. The Principal Electrical Engineer you will deliver a combination of services including: Plant Renewal, Replacement and Refurbishment, Surveys and Technical advice. Ideally you will have a relevant degree in Electrical Engineering, or equivalent qualification. However most importantly you will be confident in your experience to date and be able to work autonomously following some initial guidance on procedures.